This is a BRAND NEW polybag set of LEGO® Friends 30115 Jungle Boat from 2014. This polybag set is still factory sealed and is in very good condition. 31 pieces and 1 minifigure©. This is a BRAND NEW polybag set of LEGO® Friends 30203 Mini Golf from 2015. This polybag set is still factory sealed and is in very good condition. 26 pieces and 1 minifigure©. 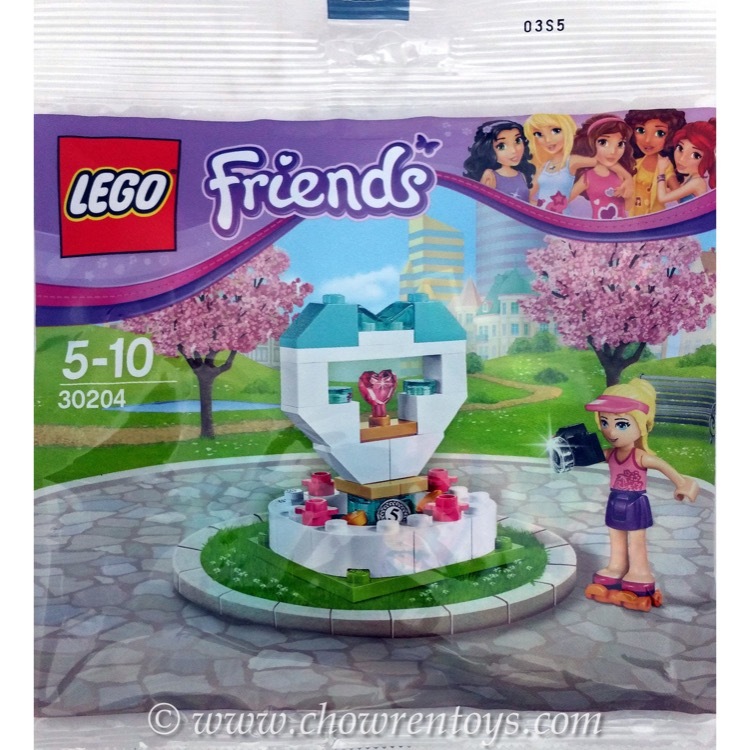 This is a BRAND NEW polybag set of LEGO® Friends 30204 Wish Fountain from 2015. This polybag set is still factory sealed and is in very good condition. 44 pieces and 1 minifigure©. This is a BRAND NEW polybag set of LEGO® Friends 5002113 Beach Hammock from 2113. This polybag set is still factory sealed and is in very good condition. 29 pieces and no minifigures©. 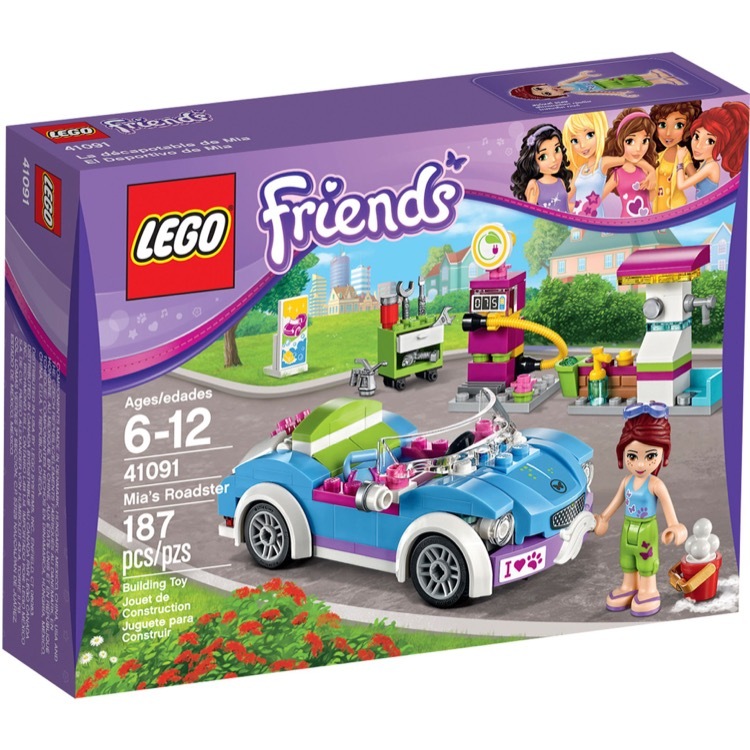 This is a BRAND NEW set of LEGO® Friends 41013 Emma's Sports Car from 2013. This set is brand new, however the box you receive may have one or more of the following conditions; broken seal, crushed box, sticker damage, heavy creases, wrinkles, dents and shelf wear. 159 pieces and 1 minifigure©. 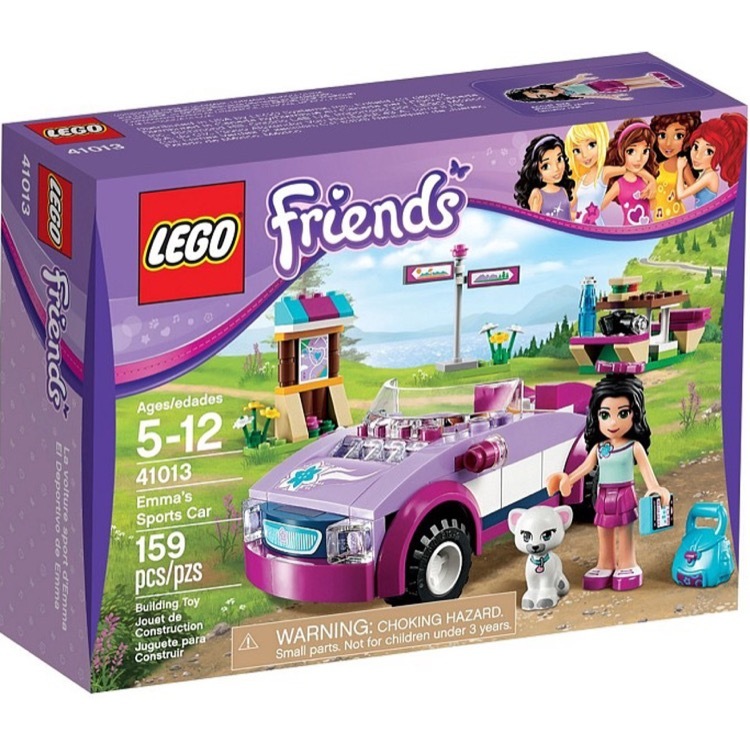 This is a BRAND NEW set of LEGO® Friends 41091 Mia's Roadster from 2015. This set is brand new, however the box you receive may have one or more of the following conditions; broken seal, crushed box, sticker damage, heavy creases, wrinkles, dents and shelf wear.187 pieces and 1 minifigure©. 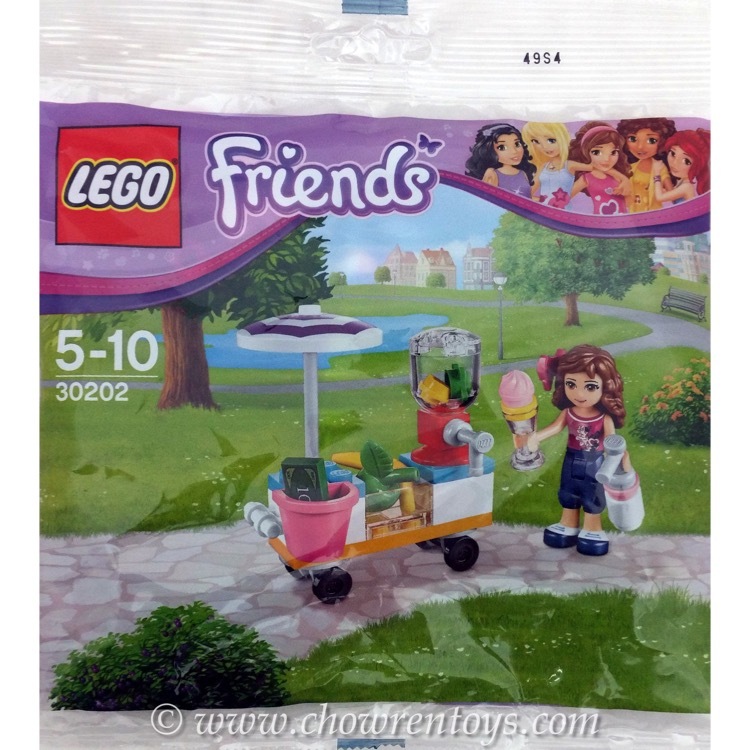 This is a BRAND NEW set of LEGO® Friends 41093 Heartlake Hair Salon from 2015. This set is still factory sealed and the box is in very good condition with minor shelf wear. 318 pieces and 2 minifigures©. 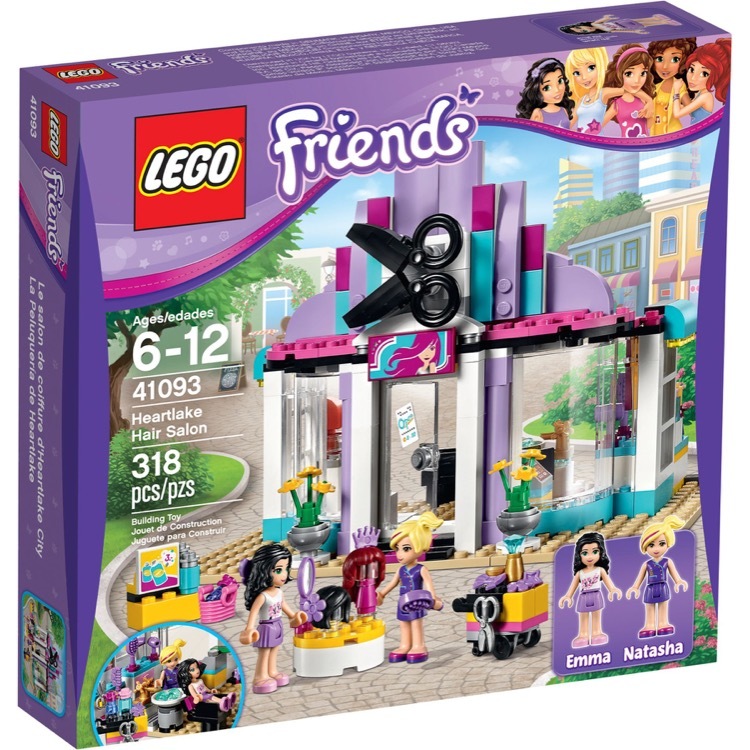 This is a BRAND NEW set of LEGO® Friends 41094 Heartlake Lighthouse from 2015. This set is still factory sealed and the box is in very good condition with minor shelf wear. 473 pieces and 2 minifigures©. This is a BRAND NEW set of LEGO® Friends 41097 Heartlake Hot Air Balloon from 2015. This set is still factory sealed and the box is in very good condition with minor shelf wear. 254 pieces and 2 minifigures©. This is a BRAND NEW set of LEGO® Friends 41033 Jungle Falls Rescue from 2014. This set is still factory sealed and the box is in very good condition with minor shelf wear. 183 pieces and 1 minifigure©. 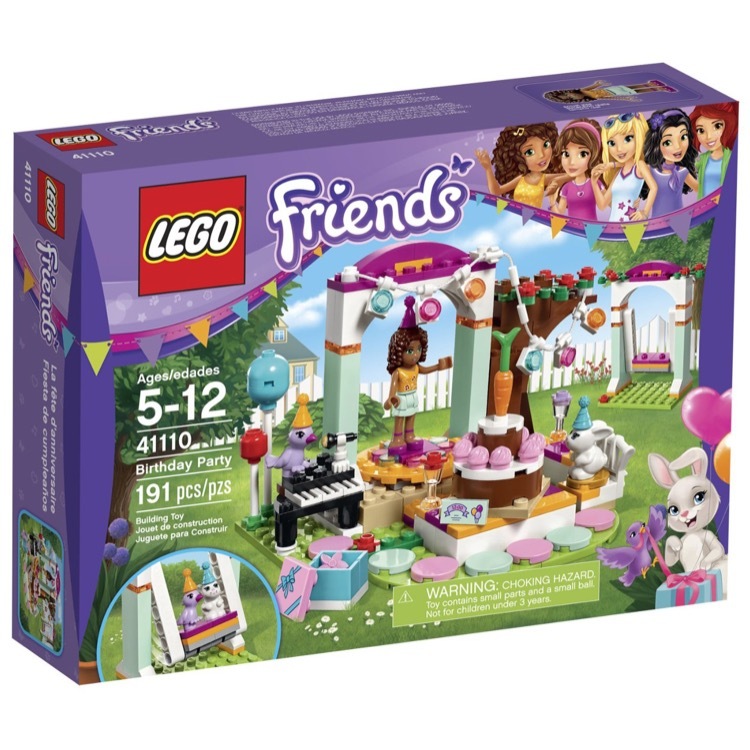 This is a BRAND NEW set of LEGO® Friends 41110 Birthday Party from 2016. This set is still factory sealed and the box is in very good condition with minor shelf wear. 191 pieces and 1 minifigure©.